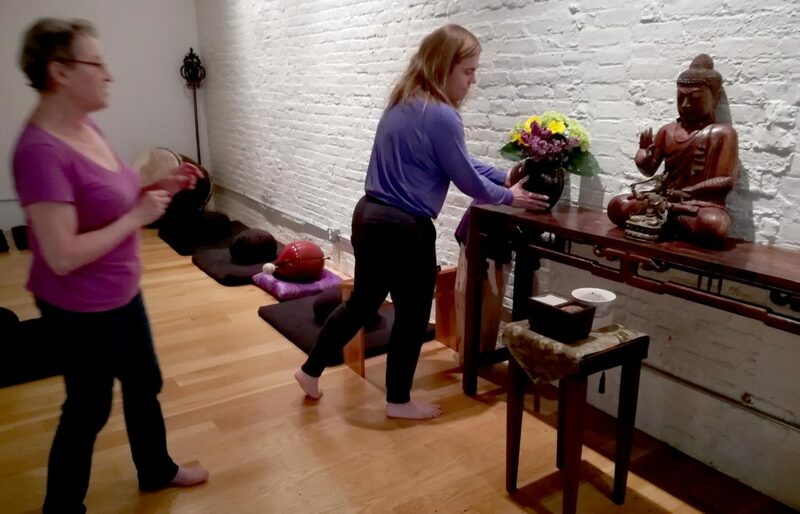 Every week at BZC a team of dedicated sangha members engages in a special form of practice. 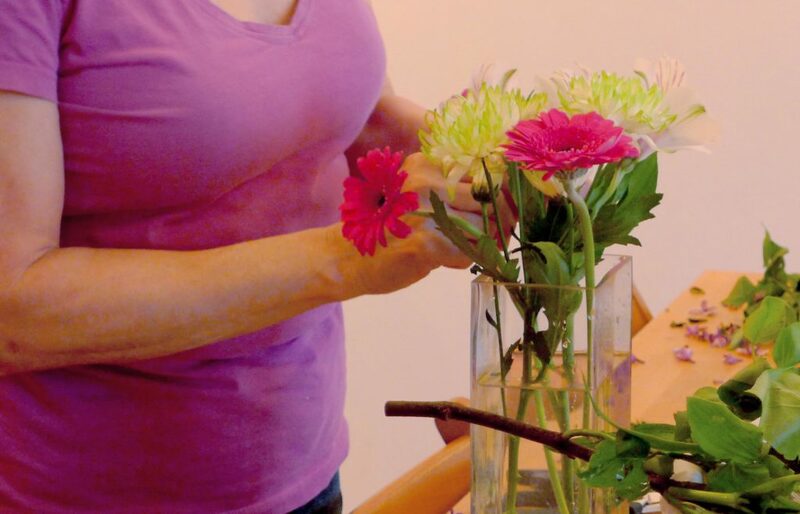 They use scissors, vases, and brushes. They speak softly with each other, while moving swiftly around the zendo, the kitchen, the bathroom, the teachers’ practice rooms, the library. 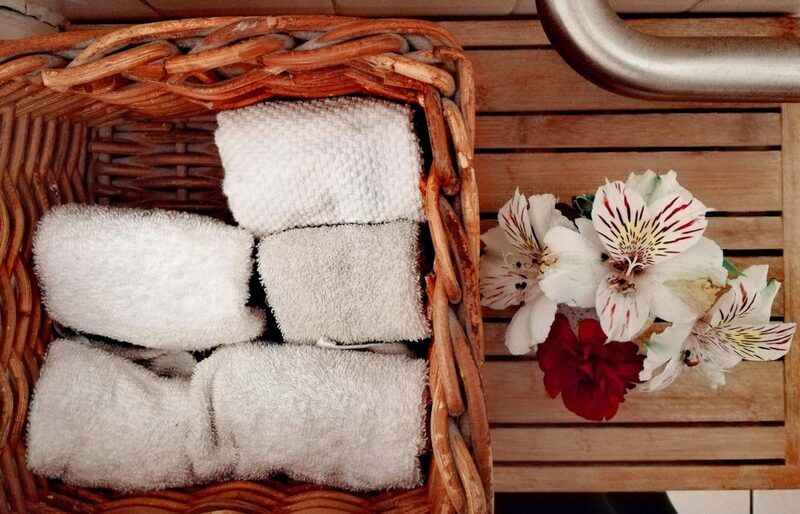 They work carefully with their hands, paying special attention to colors and shapes, deciding on particular arrangements and combinations – what to discard and what to keep, how to evenly distribute what’s available, what should go where. 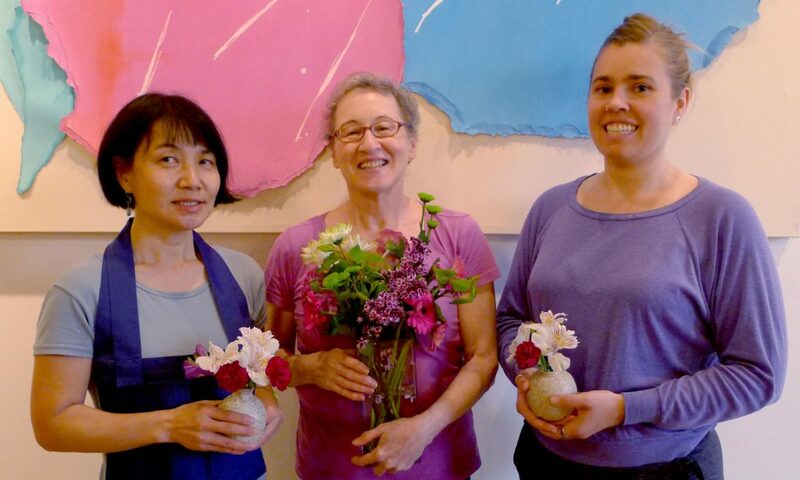 These are the flower people, the sangha members who take care of the many floral arrangements at BZC. 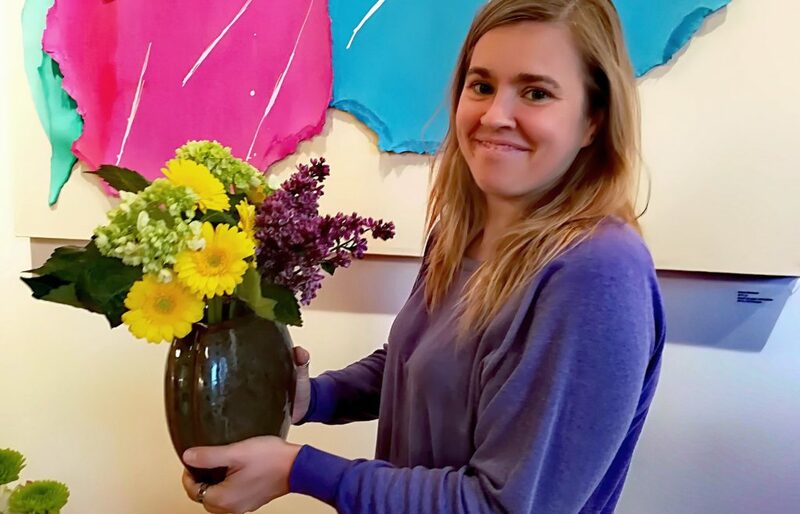 Every week they go over more then a dozen vases, big and small and tiny, refreshing each one with care and diligence and arranging new bouquets made of bright colors and delicate patterns. 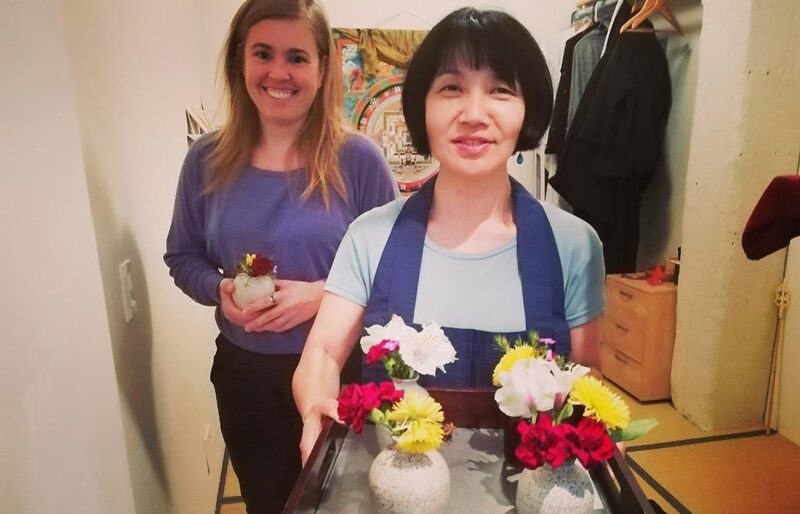 They make sure each arrangement includes flowers representing the three jewels (Buddha, Dharma and Sangha), maintaining an art form developed over the centuries in Buddhist temples in Japan. 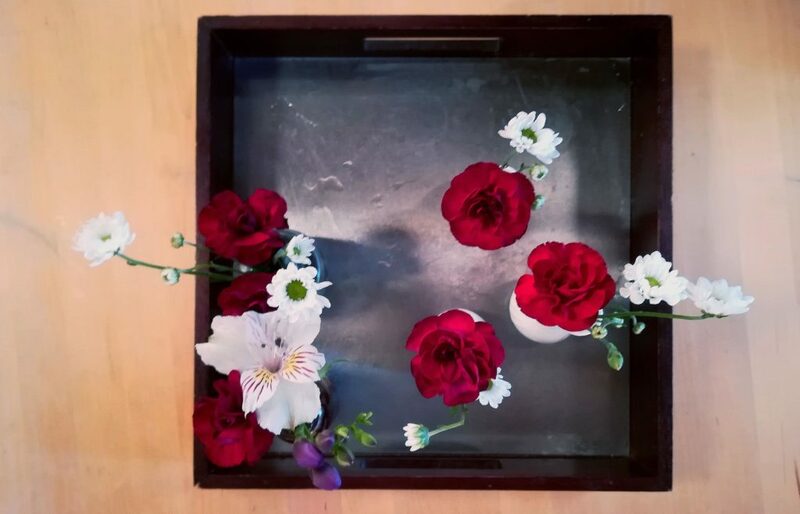 Practicing moment-to-moment mindfulness, the flower team arranges buds, stems and leaves in the tradition of this art form known as ikebana, which literally means “living flowers” – even if the flowers have been cut and are no longer growing, they are being given new life in these arrangements. 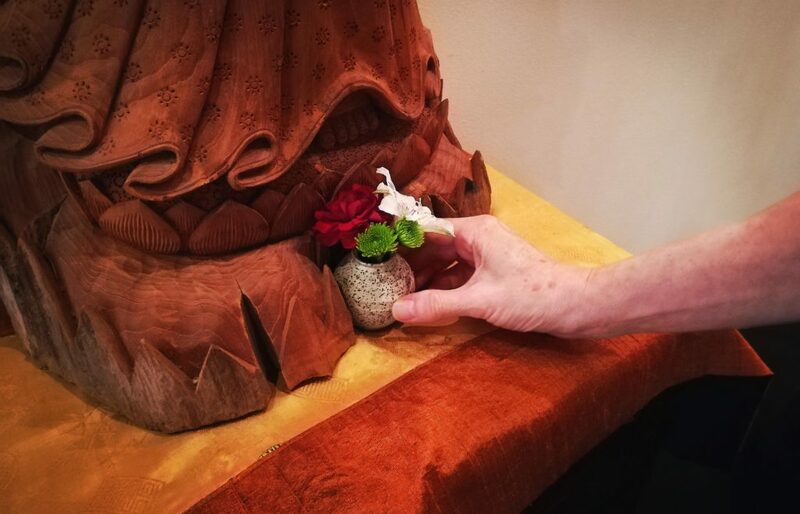 At the feet of Kuan Yin’s statue in the zendo, next to the towels’ basket in the bathroom, in the kitchen altar or in the tables in the common area, we can all appreciate the kindness of their practice and the sweetness of their unwavering dedication to the sangha. 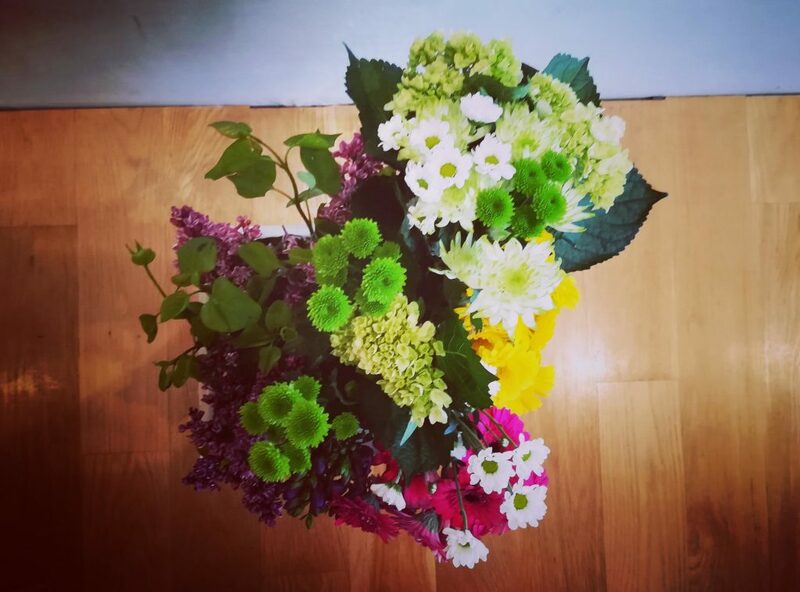 Our grateful appreciation to the BZC flower people! 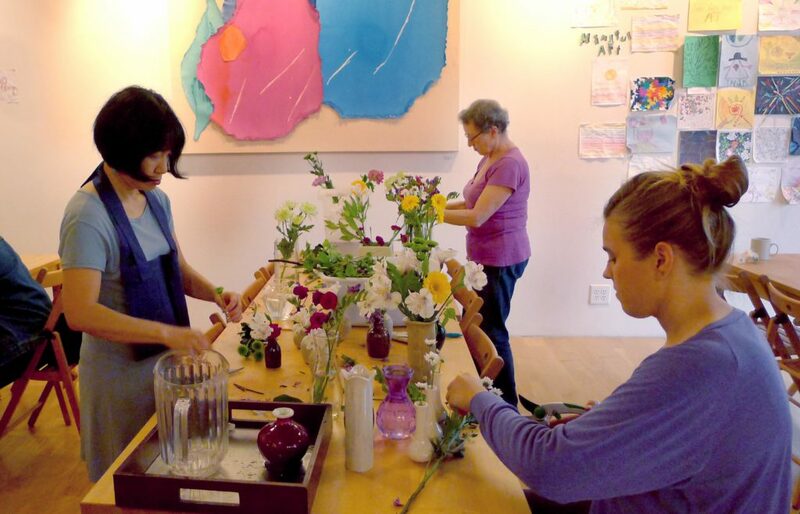 The current BZC flower team includes Mimi Rosenfeld, Kikuko Morimoto, and Alice Pencavel (pictured in this selection of images), as well as Kayla Bennett. Lisa Sardinas, who served in the flower team for the past year, recently stepped down – thank you for your service, Lisa! 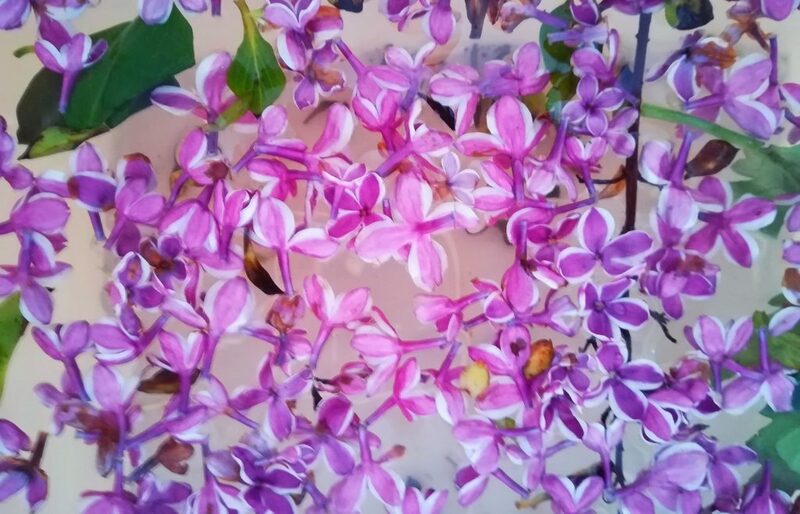 The flower team is looking for new members! 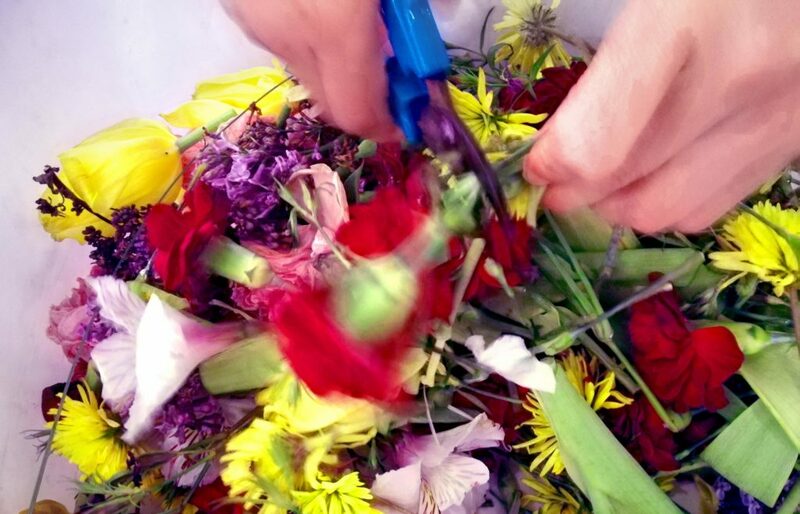 No prior experience is needed, just a love of flowers and the openness to experience this form of practice. 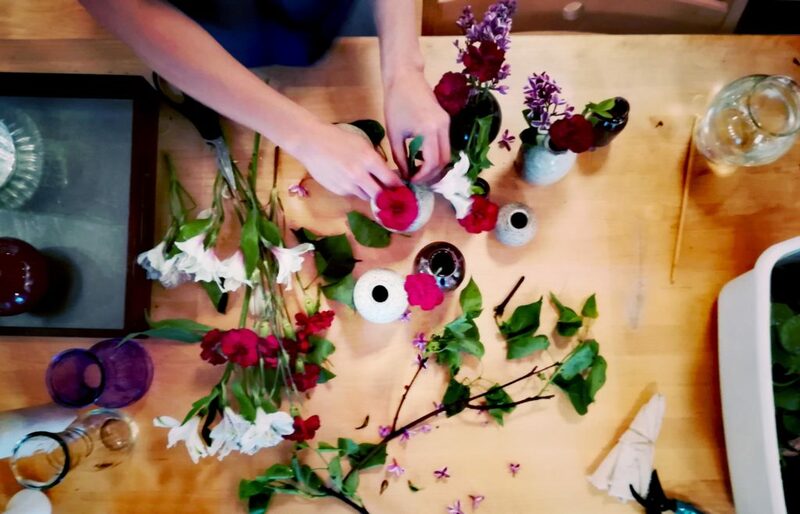 Flower practice involves about two hours of work each week, usually as a team. 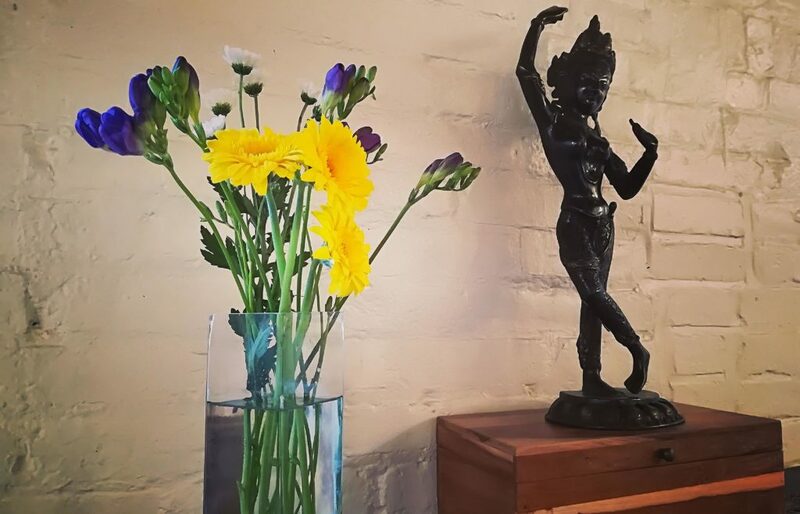 Please feel free to contact Mimi or Kiku at info@brooklynzen.org.